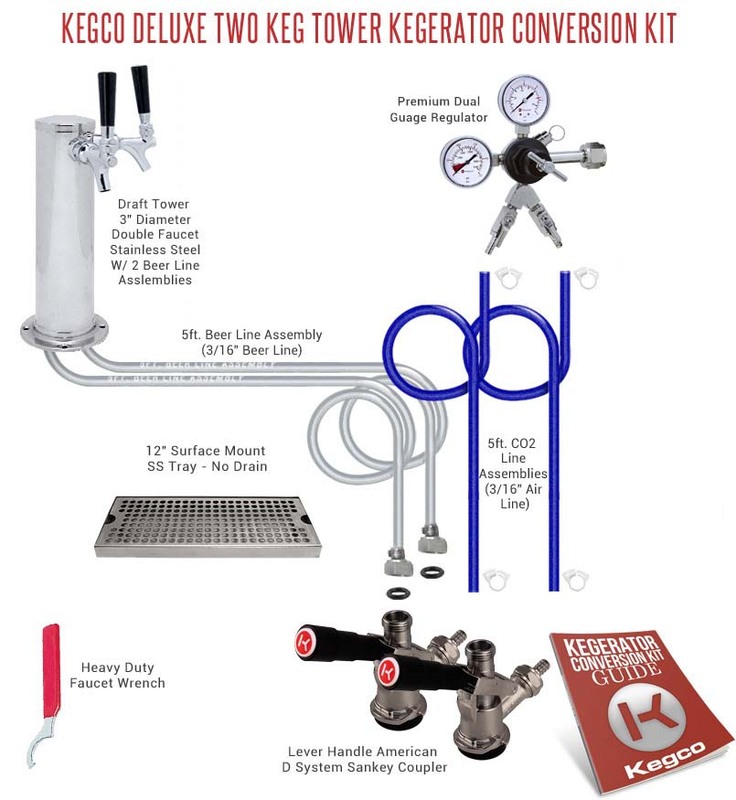 Kegco's Deluxe Two Keg Tower Kegerator Conversion Kit makes it easy to transform a plain compact refrigerator or chest freezer into your very own keg beer dispenser! It comes complete with a 3" diameter stainless steel draft beer tower with two faucets, as well as NSF-approved commercial grade parts like a premium two product double gauge regulator and two American D system keg couplers. We have even thrown in a stainless steel drip tray that contains any drips or spills, making clean-up a breeze! This kit comes with all of the high performance components you'll need two dispense beer from up to two separate kegs at a time.